If you happen to have a dent or crease in the seat of your stool or chair, it is easier to remove than you might think. A dent may occur if a large heavy object is left on the seat or if the product is not carefully stored. This article will talk you through the best method for removing such imperfections. 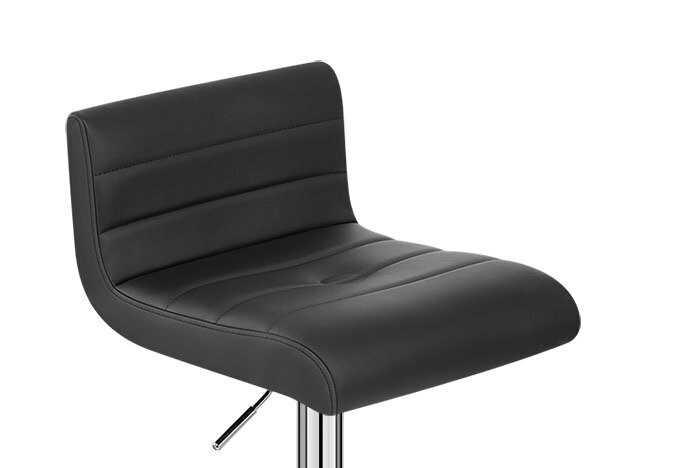 As an initial plan of action, light dents and creases can be removed by leaving your bar stool or chair in a warm room, the heat will naturally recover the shape of the padding within the seat. Leave your product in the warm room for a week, during this time you may wish to massage or knead the affected area. This method is not likely to damage your chair and should always be tried first. Real leather is a tougher and thicker material that can stand heat for longer, this also means it may take longer to see results in real leather. Fabric is naturally absorbent, so using steam could cause stains or discolouration. Try ironing without steam first and let it cool, if there is no improvement try one spray of steam. As a general rule, always cover the seat with a towel when ironing to protect the surface and make sure the seat is wiped clean before you begin. To avoid discolouration, use a white towel for white, cream, red, and other light coloured seats, and a black towel on dark colours such as black and brown. This is relevant for all materials, for example, using a white towel on a black fabric seat could cause white lint to transfer onto the fabric. 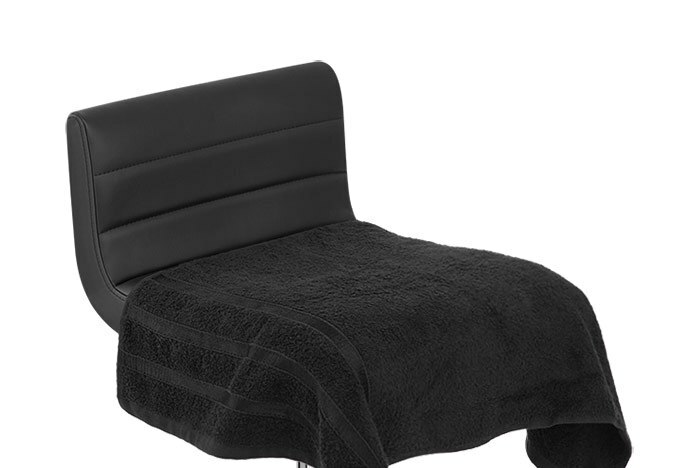 For a leather seat, cover with a suitable towel and use the steam function to spray a burst of steam onto the covered area, and then gently iron over the towel. Remember, for fabric seats try ironing without steam first as it will wet the fabric. 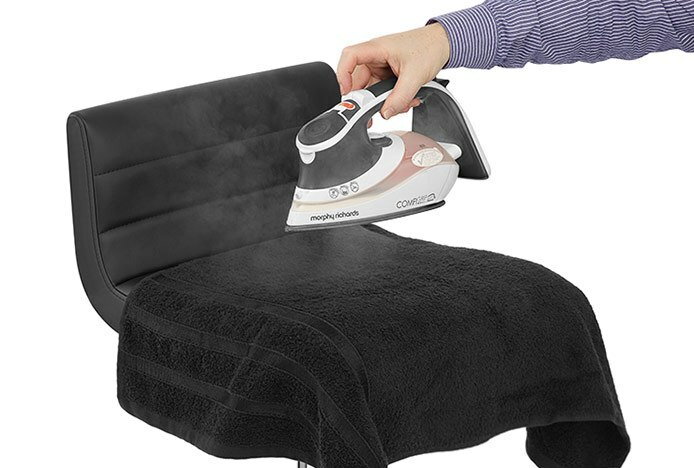 The steam function can also be used whilst you iron if the crease is particularly tough. Remember to avoid holding the iron in one place for too long as this can cause the material to burn or melt. You should start to see improvement as you iron, but if the crease or dent is very deep, you can massage and knead the area whilst it is warm to aid the removal process. 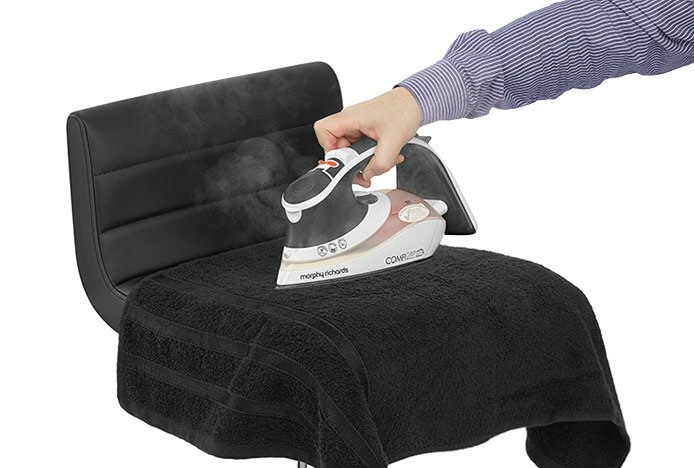 After you have steam ironed the seat, wipe down and dry it with a towel to remove any excess moisture. Do not heat the seat for too long, if the crease persists you should allow the seat to cool down and repeat the process when completely cooled. For best results and to better protect your chair, wait a week or so before repeating. Please note: These procedures are to be undertaken at your own risk. Atlantic Shopping will not be held responsible for any damage incurred.